Rugby Summer Camp is staffed by Jesuit High School’s 7-time High School National Championship coaches. These camps teach the fundamentals of rugby including scrum play, offensive, and defensive play, passing and kicking in a controlled, safe and fun environment. New this summer: this camp is co-ed. Boys and girls are welcome. 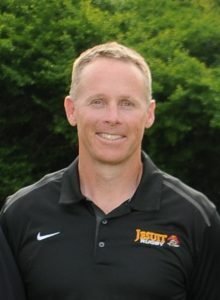 Coach Seifert is in his eighth year as a Jesuit rugby coach. He graduated from Chico State with a B.S. in Civil Engineering. Coach Seifert has been playing rugby for 20 years. Prior to Jesuit, he coached at Chico State and Rio Americano. At Jesuit, he has been a part of 8 championship teams. Coach Seifert believes athletics is an opportunity to teach many life lessons in a safe and fun environment.